Five years thrown out the window. Salmon Arm ended another drought Saturday night, beating the 1st place Chilliwack Chiefs 4-3 in the Prospera Centre for the first time since September 29th 2013. Both teams entered the night riding three game win streaks. For Salmon Arm, that was their longest streak of any kind since the start of this season. 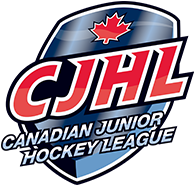 They had just won their first official road game Wednesday night besting the Vernon Vipers 4-3 in a shootout. 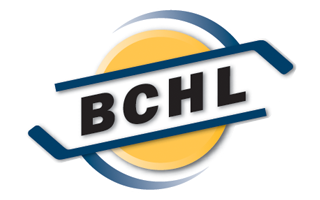 A perfect streak of 11-0 when scoring the first goal of the game for Chilliwack was also ended against Salmon Arm. Just 49 seconds in, a misplay behind the net for Salmon Arm had the puck hop right to the front of the crease. Second year forward Skyler Brind’Amour was right there for the Chiefs to snap in his fifth of the season. Hosting Chilliwack minor sports nights, the Chiefs received a lot of early energy from their young crowd. Salmon Arm would put a damper on that energy though scoring twice in the opening frame to lead 2-1 after one. Digging for a puck on the left side of the net, Hudson Schandor was able to muscle the puck just enough for it to cross the goal line before the net was knocked off it’s moorings. With under three minutes left, Wyatt Marlow was able to keep a clearing attempt in, and slapped the puck back towards the net. It missed to the left, but right there was Yewta Plamondon who scooped the loose puck up and squeaked it short side on Mathieu Caron. The Chiefs had played 22 games heading into Saturday, and Caron had played in 21 of them. On their first power play of the game in the second, things didn’t go quite as hoped for the Silverbacks. A turnover just inside the Chiefs blueline led to a breakaway for Kevin Wall. Leading the league in goals this season, the rookie showed why making a nice move to his backhand and finishing into the top of the net to tie the game at two. Shots after the second were 29-13 for Salmon Arm. Outplaying the Chiefs all night long, Salmon Arm scored two more in the third to give themselves a lead and some insurance. Eight minutes in, Matthew Verboon was left alone in front of the goal and showed Chilliwack why that wasn’t the best idea. Hudson Schandor from behind the net passed the puck out front for Salmon Arm’s leading rookie to snap in. The goal for Verboon extended his scoring streak to three games after he had gone six games without a goal. On a power play two minutes later, Nick Unruh scored following a nice passing play to make it 4-3. A goal for Chilliwack with six minutes left made things interesting as Harrison Blaisdell unleashed a wicked shot from the slot that was able to beat Ethan Langenegger. Salmon Arm would have to kill two more penalties before the clock ran out, and the final man advantage saw Caron pulled for the extra Chiefs attacker. After a rough special teams night in Vernon going 0 for 8 on the power play and allowing two power play goals, the Silverbacks responded Saturday. On the man advantage they had four opportunities and scored once, while shutting down all six Chiefs power plays. Salmon Arm headed home with a four game winning streak after outshooting the league leading Chiefs 40-22. Hudson Schandor with a goal and assist was named the first star of the game while Verboon with the same stat line was the third. After a very busy stretch playing five games in nine nights, Salmon Arm now gets a break as they wait until Friday to play the Penticton Vees are who currently two points back with a game in hand over the Silverbacks. The Silverbacks currently have the tie breaker though with more wins. Outshooting and playing Chilliwack start to finish was a pure team effort for Salmon Arm. The defence was able to shutdown any major pressure from the high powered Chiefs attack, the forwards caused havoc all night long, and all players were creating turnovers left right and centre in the neutral zone from the Chiefs. Langenegger wasn’t busy in net, but made a number of key stops. His biggest came late in the first period stopping Matt Holmes on a breakaway which would have tied at the game at two.